One of my favorite summer rituals is heralding the arrival of lavender season with a childlike glee. Since we’re lucky enough to live close to a few lavender farms, I make a point to visit during their blooming season from June to September. Standing in a lavender field – watching the rolling waves of purple blooms sway in the breeze, their scent perfuming the air – it’s hard not to imagine oneself in Provence, peaking out from your straw hat to take in the countryside. While I wait wistfully for the days when I can purchase that plane ticket to the south of France, I’ll be making every DIY lavender project I can get my hands on. 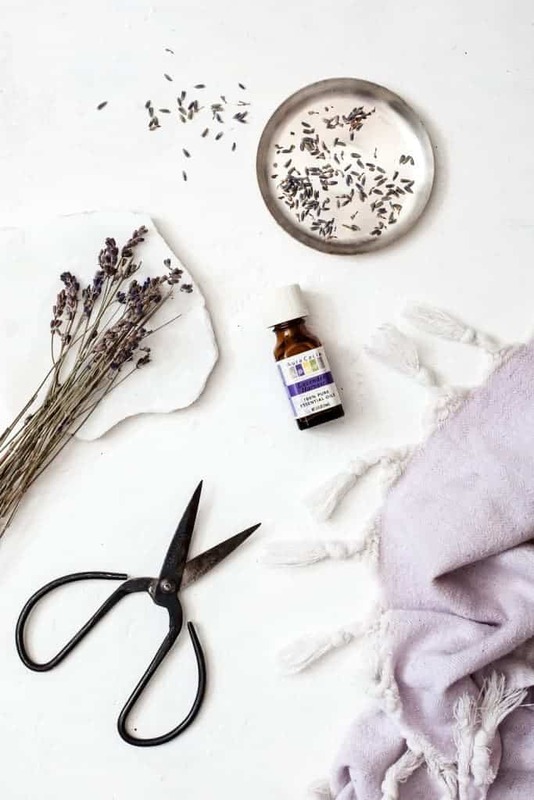 Since lavender lends itself so well to natural beauty, I thought I’d channel my inner perfumer and try my hand at some DIY lavender hand soap. After all, while I may not be able to gaze out my kitchen window and seeing the rolling hills of Provence, I’m a firm believer that my kitchen can still smell like I can. From a practical point of view, one of the things I like best about this recipe is its simplicity. Four ingredients are all you need – most of which you probably have at home. 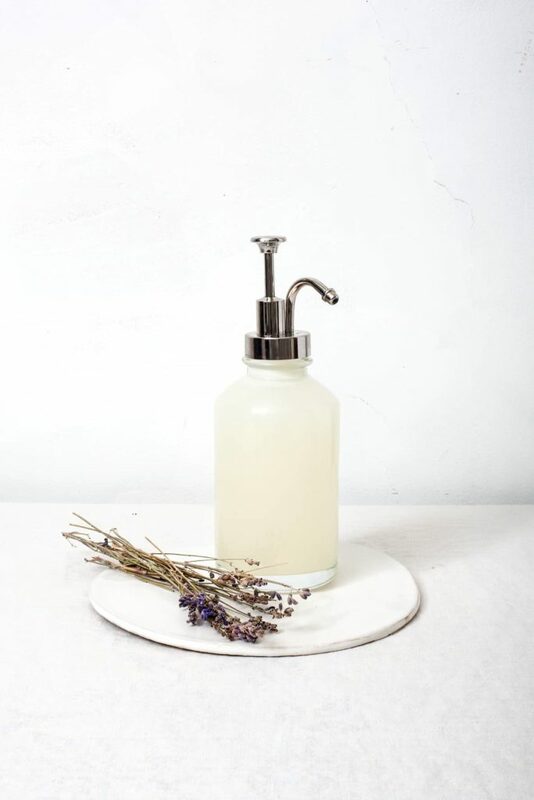 If you’re like me and you often run out of hand soap at the most inopportune times – say when company is coming, or you’ve just come in from the garden – then you’ll want to pin this for later. 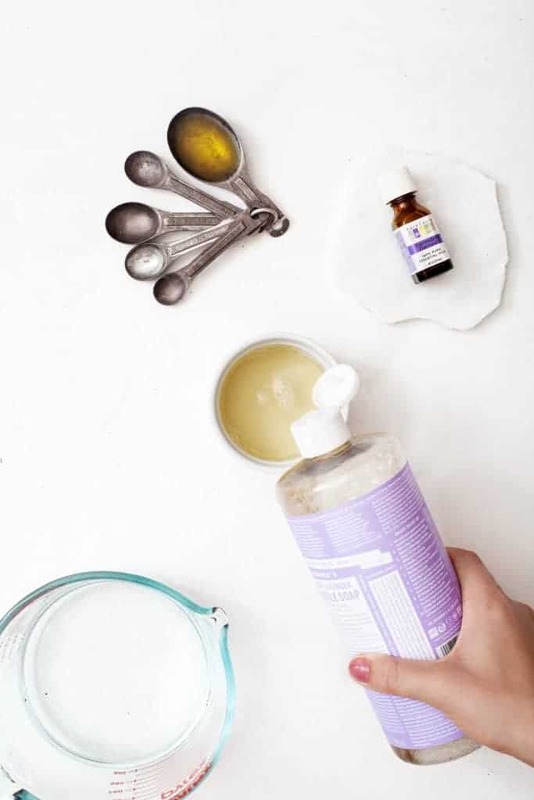 Measure out your castille soap and mix with water. Add sweet almond oil to the mixture and shake to combine. Enjoy! Love your scissors and your soap dispenser. Since you haven’t replied to comments and questions as far as i can see, i will assume your ‘dispenser’ is a house plant mister bottle? I wonder if that makes it foam?! great recipe! can’t wait to try this soap out! If the whole set of information sites as well as current announcement acquired like very good novelists an example would be, cyberspace has to be a great deal more exciting position. You cause me to modify my outlook on life. I made this soap and it is lovely! My only complaint is that it was a bit too watery for my liking. I think the amount of water in the recipe could even be cut down by half. Grade A stuff. I’m unonistequably in your debt. I love the smell of lavender, so I’m super excited to try this soap out! I’m really happy there are only 4 ingredients as well!